Some of the best documentaries are those that don't tell you what to think but choose instead to explore a subject from different viewpoints and angles, let the images speak for themselves and give the viewer a chance to make up their own mind. The best of this year's Jeonju Cinema Projects, the blistering new documentary A Good Business is just such a work, as it chooses to explore a fascinating subject by providing a unique drip-feed of information. Director Lee Hark-joon avoids drawing any conclusions regarding his lead characters, a pastor and his right hand, who may be saints or swindlers, depending on how you view the select information that makes its way onto the screen. Kim is a pastor with a unique mission; he's a human rights activist who relocates North Korean defectors within South Korea. However, following the passing of the North Korean Child Welfare Act of 2013 in the US, he sees a new opportunity to have North Korean orphans adopted by American families. If successful, he will both profit immensely and draw worldwide fame. Yet the task is a perilous one that puts many at risk. 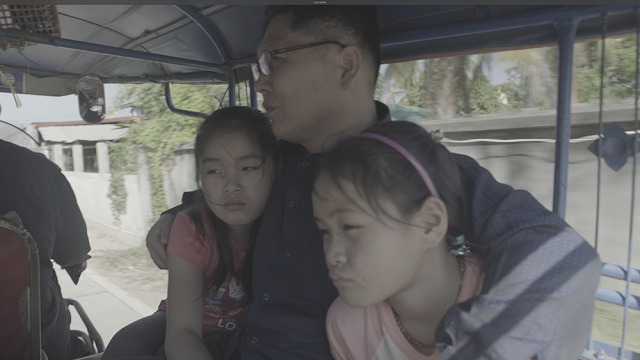 Lee's film occasionally plays a thriller, particularly during some daring border crossing scenes that are not only highly illegal but terribly precarious as groups of women and children hike through the hills between China and Laos and board a flimsy boat over the fogy Mekong river separating Laos and Cambodia. A Good Business presents us with someone who has undeniably done great humanitarian work but his work and his intentions don't necessarily fall within the same ethical parameters. Even more fascinating is seeing him at work, hot-tempered and prone to tantrums and yelling at subordinates. Rather than a human rights activist, he has both the physique and temperament of a bad Korean boss, prone to cutting corners and shifting the buck when things predictably don't go according to plan. Without the benefit of a narrator or any explanation on screen, Lee throws us into the deep end of his subject, trusting us to piece the narrative together but also forcing us to concentrate and stay on our guard. As the narrative cuts around chronologically and various pieces of information are omitted or merely teased, he deliberately keeps things vague, which keeps our eyes trained on the fascinating main characters. This opaque style of filmmaking forces us to engage with the material as we attempt to fill in the blanks with the various scenarios. With its fascinating subject, broiling egos and unknowable truths, A Good Business is the best kind of documentary, one that gives us just enough of a taste to make us want to dig deeper and draw our own conclusions. Though we may never quite unlock them, Lee gives us the key to knowing his subjects.